If a machine is slow, how can you expect it will perform extraordinarily? In contrast, when a machine is known for its excellent performance, even a bit downfall in the level of its performance is not acceptable. Well, the same is applicable for computers as well. In fact, when it comes to performance, it actually reminds of the Mac OS X, which now has been launched in the latest version – Mavericks (Mac OS 10.9). MacBook Air, as you know, is the latest product in the Apple’s series of laptop computers, you can undoubtedly imagine the level of performance of this computer. In fact, MacBook Air must be the fastest laptop computer in the series; however, the way you imagine it performing might not be for a long time. With this, I just want you to think of the factors responsible for causing gradual slowdown in the performance of the Mac computers. Well, no matter whichever version of the OS X you have upgraded to, typical slowdown issues might never leave you breath in peace. One of the major factors responsible for computer slowdown is its obsolete system configuration, which must be upgraded to the latest one released for the particular model you are using. Well, MacBook Air is the latest product in Apple’s MacBook series of laptop computers, you simply cannot be doubtful about the system configuration. However, make sure you download all necessary updated for the OS X version and the applications your MacBook Air is running. Go to the ‘Apple’ menu and choose ‘System Preferences’ in the context menu. Select ‘Software Update’ from the View menu, and then click ‘Update Now’. In the window, select the items to update or install, and then click ‘Install’. Type in the admin ‘Username’ and ‘Password’ when prompted. Once ‘Software Update’ is successful, restart the Mac. You would experience considerable improvement in the performance of your MacBook Air, in case this was the only issue. Safari is the Mac inbuilt web browser, which is quite good to surf the Internet. However, it sometimes becomes a cause of slow Mac, thereby eating up the system resources (i.e. RAM & Processor) greatly. You might consider RAM, simultaneously running multiple applications, and some like factors responsible for slowdown issues, but Safari alone consumes system resources to a large extent. 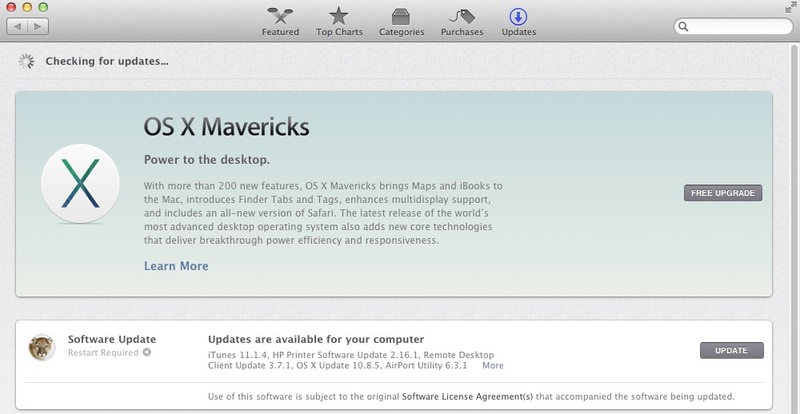 Therefore, I recommend quitting Safari when you experience slowdown issues on your MacBook Air. If Safari is running, click Safari menu and choose Quit. If safari is no longer running, control + Click the Safari icon in the dock bar. Or, in any other situation, see how you can force-quit an application on Mac. Mac OS X makes a great utilization of the system resources while booting. In case there is some issue with these resources, it fails to boot. In case it has to wait for the required system resources, it takes considerably long time to boot, and sometimes it freezes as well. Choose ‘Users & Groups’ and then click your user account at the left. Click the ‘Login Items’ tab to display all the items you see launching at Startup. Under the ‘Hide’ column, check the check box right in front of the item you want to disable. Likewise, select other items as well, and then click the minus (-) button to disable them. Once you are done removing unwanted login items, exit the ‘Users & Groups’ window, and then restart your MacBook. Each item (i.e. application, file, or shortcut) located on the desktop is executed in background when Mac OS X boots, thereby making efficient utilization of the system resources (RAM & Processor). Therefore, the more the items located on the desktop, the greater is the resources’ consumption. Meanwhile, other programs have to wait for system resources to get free. Create one or more new folders and move the all items in one category to one of those. Likewise, move another category’s items to the second folder. I suggest not moving the shortcuts to any folder, as they are already available in /Applications. Now, you can move those folders to any of the volumes. Next time your Mac will boot, you will experience the change. In order to speed up slow MacBook Air, you can perform the aforementioned cleanup tasks manually. However, I suggest using a commercial Mac cleanup/speedup tool in order to achieve quick and more efficient results.